Custom sapphire windows fabricated in special configurations with wedged faces, beveled and stepped edges, and profiles to meet precise OEM specifi-cations are available from Meller Optics, Inc. of Providence, Rhode Island. Meller Sapphire Windows can be custom fabricated in a wide range of sizes up to 10” dia. with special shapes, wedged faces, beveled or stepped edges, and various profiles to meet precise design requirements. 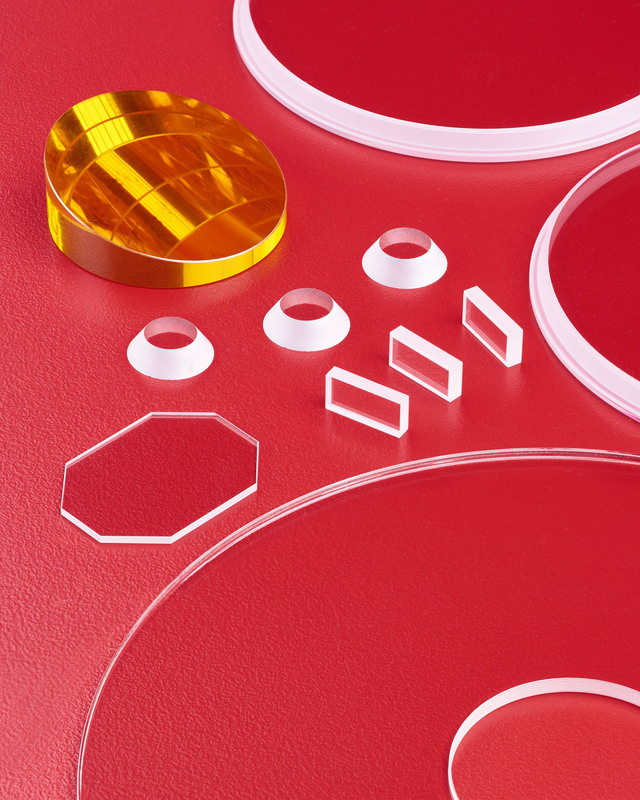 Featuring Moh 9 hardness which is second only to diamond, these windows are ideally suited for protecting cameras and sensors requiring a clear viewing surface that needs to withstand high speed particulates and harsh chemicals. Precisely finished, Meller Sapphire Windows transmit from the UV to IR (1270 nm to 4.7 µm) and provide flatness to 1/10th wave in the visible and < 2 arc sec. in/in. parallelism, with finishes from 60-40 to 40-20 scratch-dig, depending upon configuration. Windows can also be fabricated from fused silica, ZnSe, ZnS, silicon, germanium, and other materials. Meller Custom Sapphire Windows are priced according to configuration and quantity. Literature and price quotations are available upon request.